UPDATE! Ski Season has been extended because of all the great snow this season! 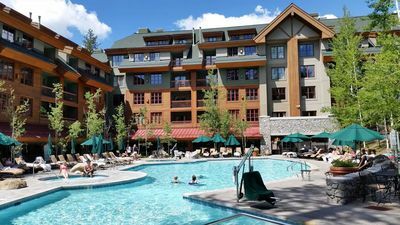 Heavenly, Northstar and Kirkwood are now set to close for the season on April 28, April 21 and April 14, respectively, after previously being projected to shut down a week earlier than those dates. Heavenly will reopen May 3-5 for a three-day weekend, and Kirkwood will do the same April 19-21. 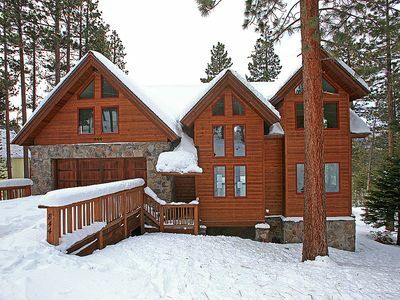 Winter has arrived in Tahoe at MOUNTAIN WATER LODGE - GUESTHOUSE! 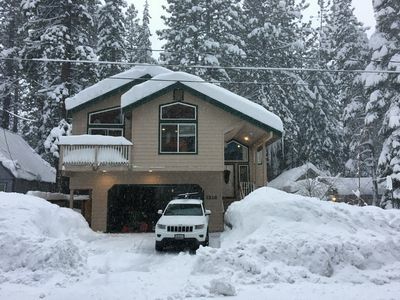 Heavenly Ski Resort is open and ready for your Tahoe ski trip, book a dream winter vacation and be just a few minutes drives to ski resort, or just go for a quiet and relaxing walk along the California Conservancy Trail right outside your winter getaway home. 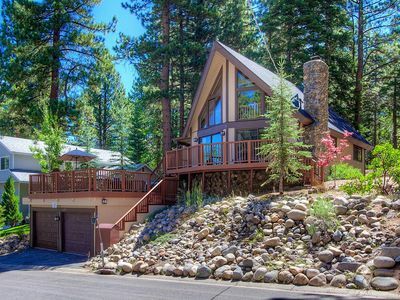 This home is just 100 steps to Lake Tahoe and the beach! 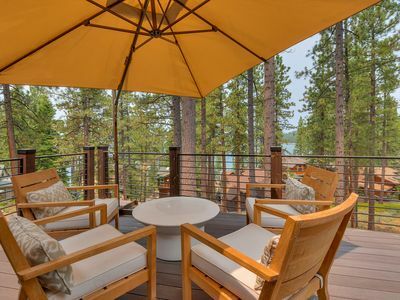 Best location in South Lake Tahoe! 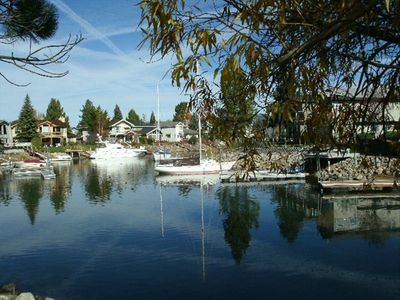 Walk directly across to the Lake from home (just 150 steps! ), and 2.4 miles to the Heavenly ski lifts! 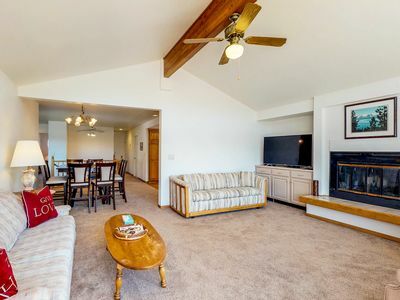 You will be 2.3 miles to the casinos for nightlife and drinks, the Heavenly Gondola, and the Heavenly Village. 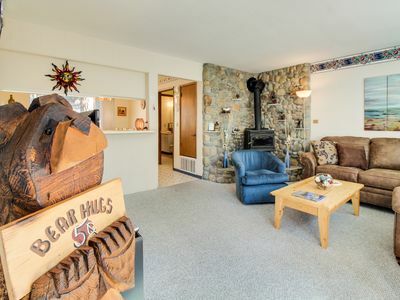 Then come home to your vacation house in the woods with gorgeous lake and mountain views. 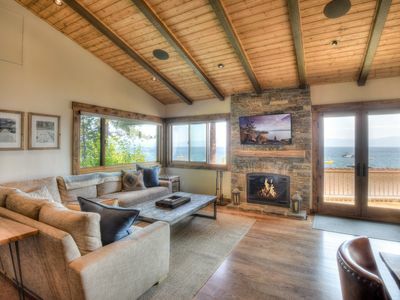 The home was built with rustic modern finishes and furnishings. 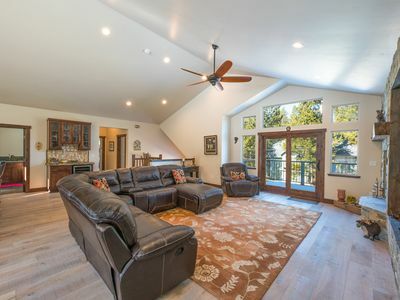 The reclaimed barn wood and beam accents give the home a mountain modern feel, and the natural light from all of the windows really brighten the space. The kitchen has tons of counter space and high end stainless steel appliances. The bedrooms are not just for sleeping! (Though our 400 thread count sheets and super plush pillows don't hurt..) It's also the perfect place to curl up for a movie. We have Cable Netflix streaming service for you in both rooms, so now you just have to choose between West World and Frozen. Good luck. ;) There is a CalKing in the master and a Queen bunk bed (weight limits only allow for 100 lbs on top bunk). The bathroom has been designed with all of our cousins, nieces, and nephews in mind! It is not a conventional layout but was designed to get an entire family on the slopes for first chair! 2 people can shower (if they don't mind the buddy system), 2 people can brush their teeth/shave/dry hair, and one person can be using the water closet (that is a room with a toilet) all at the same time. We have solved the problem of one person tying up an entire bathroom making everyone anxious to get on the hill and get first chair! 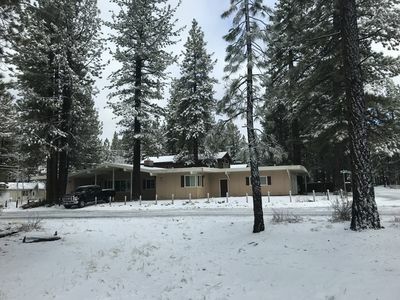 This custom built guesthouse is conveniently located within a few minutes drive to the Heavenly Mountain ski resort and ski school, 100 steps to Lake Tahoe, and short drive to the many dazzling shops and fine restaurants of the Heavenly Village shopping center. 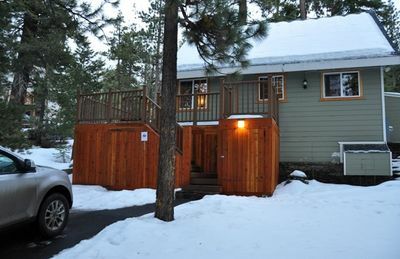 The Lake Tahoe vacation rental is comfortably decorated and a custom built home with skiers in mind. 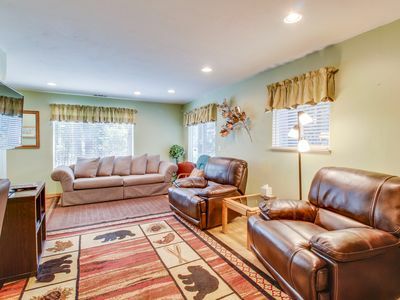 The home offers a private balcony/patio with a gas grill. 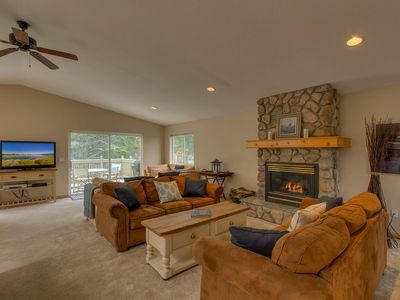 It also has an electric fireplace, fully-equipped kitchen, King-sized bed and a queen size bunk beds. 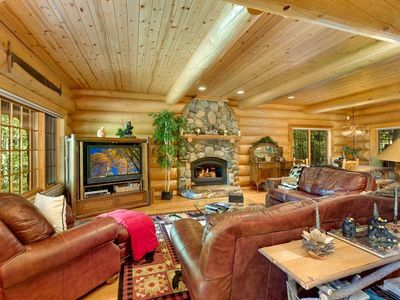 The Tahoe homes provides all the comforts of home and easy check ins. 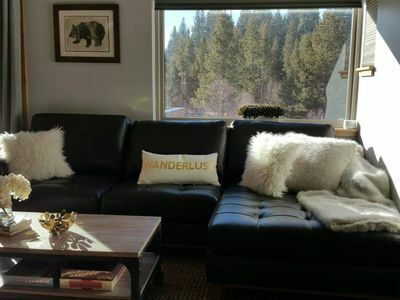 Other amenities include gorgeous views, laundry facilities, parking, free wireless internet service and cable TV. There is 1 uncovered parking space just outside the home. Keyless entry and check in anytime after 3pm. 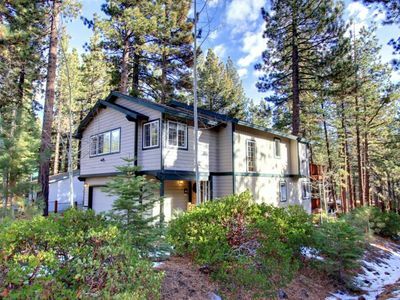 Cozy South Lake Tahoe Home w/ Gorgeous Views! 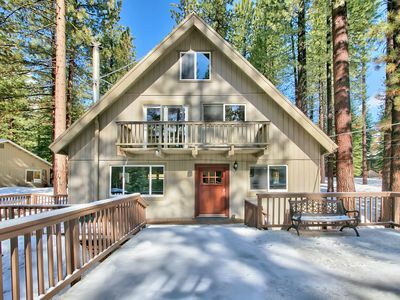 Tahoe Lakefront / Beach Access in Cozy Cabin W/ Modern Conveniences. 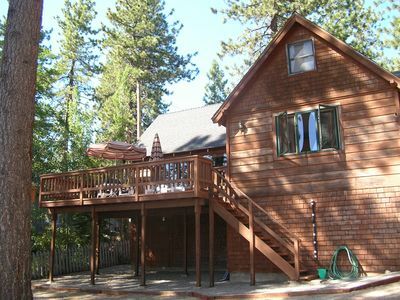 Lakeview, right on the Tahoe Keys, w/ a shared pool & hot tubs - dock two boats! 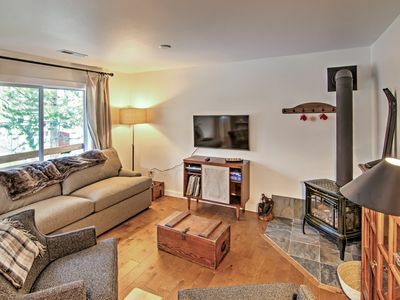 Conveniently located w/ large deck & fireplace - all the comforts of home! Ski on Heavenly Mountain for the most memorable joy!